Cris against Cancer — Welcome! Advertising Illustrations Collages Covers Wannabe Awards About Say ¡Hola! 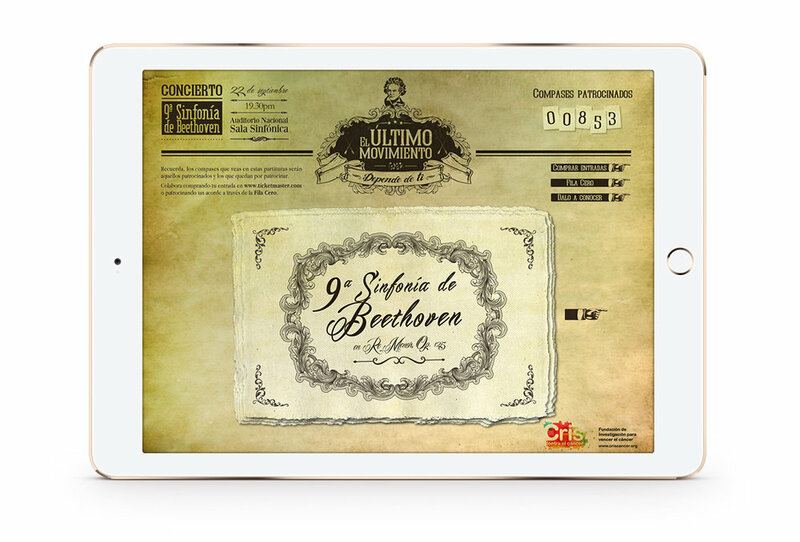 In order to raise funds for three new research projects, CRIS Cancer organized a classical music concert in Madrid.The idea was that the orchestra played the 9th Symphony of Beethoven according to audience response. But, each bar of the score corresponded to a seat in the National Auditorium, therefore any un-sold tickets would mean an unplayed bar, and silence in Beethoven's 9th Symphony score.